Massachusetts regulators have rejected fees National Grid sought to impose on small commercial and industrial customers that own distributed energy resources (15-155). In an order approved Sept. 30 that granted the utility a $101 million rate increase, the Department of Public Utilities rejected proposed monthly charges for new stand-alone DER, including solar and wind. The customers who are most likely to be affected by the proposal include local governments and community-aggregated solar projects, which are intended to benefit low-income ratepayers and those otherwise unable to install solar panels on their own homes. National Grid had sought to impose the fees to help cover the fixed costs of the distribution grid and avoid shifting them to other ratepayers. Regulators agreed with opponents who said the company failed to justify the charge or demonstrate cost-shifting. “With the exception of interval meters, the company has not quantified the costs that it contends stand-alone DG facilities impose on its distribution system,” the DPU wrote. It did approve a $1 increase from the $4 minimum monthly charge for residential customers and a one-time interconnection charge of $28 for distributed resources to cover the application process. National Grid had proposed a fixed fee of up to $20 for residential customers based on usage and $30 for small commercial customers. The law also allows for the consideration of an access fee once solar capacity reaches 1,600 MW statewide, a threshold expected next year. National Grid has met its share of that total. The DPU agreed with opponents of the proposal that the fees did not qualify as MMRCs because the rate case was filed before the law’s enactment. It also said that once the 1,600-MW threshold is passed, a fee could be considered in a separate proceeding. The company had proposed a monthly access fee of $7/kW, reduced by an assigned capacity factor (40% for solar and 30% for wind). National Grid said the fee was necessary to recover its costs for the operation and maintenance of the transmission and distribution grids and the increase in costs it says will result from further penetration of distributed resources. Several intervenors contended that the proposal ran contrary to Massachusetts’ efforts to have its rate design more accurately reflect market conditions. “Reforms to electricity rate design must strike a careful balance between economic efficiency, equity for all customers, protection of low-income ratepayers and access to community distributed generation,” Mark LeBel, staff attorney at Acadia Center, said in a statement. 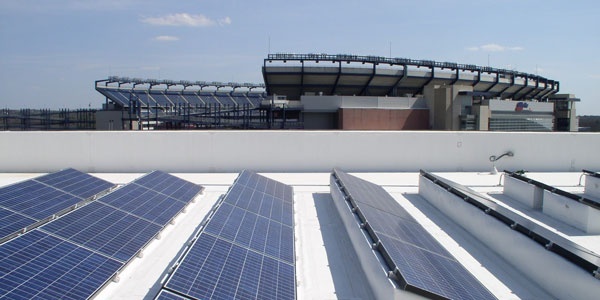 New Hampshire regulators took the first step toward an overhaul of their net metering rules, reducing compensation for rooftop solar owners while ordering a study of the value of distributed generation. Edison International, and its SoCalEd subsidiary, are maneuvering to capitalize on California’s effort to meet its greenhouse gas emissions goals.